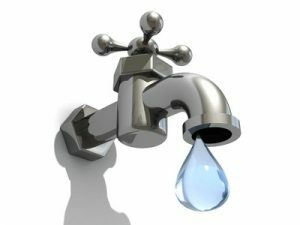 If your water has started looking or tasting weird, it is possible you have a backflow problem. Backflow is when the incoming water starts moving the wrong way at some point. This can cause the water to mix with toxic or dirty water in the process and the water is tainted by the time it comes out of your faucet or shower head. Back Pressure: Pressure from somewhere further down the lines may be forcing water back into the line. Back Siphonage: This happens when the pressure from the water supply becomes less than the pressure in the plumbing system. Horsebib Backflow Preventer – This device can be installed at a single outlet. There is a spring in the device that assures the water flows only one direction. Pressure Type Vacuum Breaker – The device can be installed in the home’s main inline and will close a valve when a senor tells it the water is flowing the wrong way. Barometric Loop – This device is shaped like the letter “U” and can help prevent backflow by being installed upstream from a cross connecting pipe. This type can only be used for the back siphonage problem. If you need help with a suspected backflow problem, it may be the wisest move to call a professional and have it tested first and if there is a problem, have it fixed quickly and correctly. We are certified backflow testers. We can test to see if you have backflow and recommend the best way to fix it.